This book is not be about giving students all the answers to every situation they may encounter when they start their first job or as they continue up the career ladder. Instead, this book gives students the vocabulary, framework, and critical thinking skills necessary to diagnose situations, ask tough questions, evaluate the answers received, and to act in an effective and ethical manner regardless of situational characteristics. 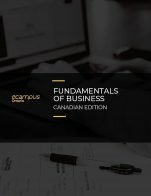 Often, students taking organizational behavior (OB) either do not understand how important knowledge of OB can be to their professional careers, or they do understand and they want to put that knowledge into practice. Organizational Behavior takes a more experiential angle to the material to meet both of those needs. The experiential approach can be incorporated in the classroom primarily through the ”OB Toolbox.“ This feature brings life to the concepts and allows students to not only see how the OB theories unfold, but to practice them, as well. 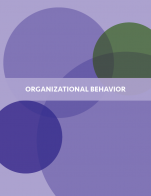 The Organizational Behavior cover is used under a CC BY-NC-SA 4.0 license (https://creativecommons.org/licenses/by-nc-sa/4.0/). Organizational Behavior by Author removed at request of original publisher, Adaptation by the University of Minnesota is licensed under a Creative Commons Attribution-NonCommercial-ShareAlike 4.0 International License, except where otherwise noted. 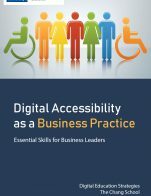 There are many commercially available texts on this topic to allow comparison in this category of assessment, and in relation to those texts, the overall content and structure of this text is appropriately conventional and comprehensive. The field itself is very large, so within any major topic (such as employee motivation, teamwork, leadership, and so forth) authors must be somewhat selective while taking care to at least touch on all or nearly all content that has become dominant within the major topic. This text is comprehensive in that regard. In some chapters this text goes beyond others in its sub-topics, as when the leadership chapter included Servant leadership and Authentic leadership. Granted, some text authors might question whether these constructs are worthy of inclusion, but even the ubiquitous Transformational leadership framework associated largely with B. Bass also has received serious criticism (criticism that is reflected neither in this text nor most others). As another illustration of this text’s comprehensiveness within its relatively economical writing style: in the coverage of Transformational leadership, the appropriate references were cited on whether this somewhat charismatic leadership style or behavioral repertoire can be taught or otherwise developed (though perhaps there was an overstatement in the claim that there is a “large body of research” on this specific matter). Still another example of exemplary comprehensiveness within a subtopic may be found in the extended discussion in Chapter 14 of employee resistance to organizational change. This reviewer did not find an available index or glossary. This should not be a problem because the various file formats allow searches. It was not at all a problem in this reviewer’s process of reviewing the text. At least one competing, commercial text supplies no index to students, but does supply one to instructors, which may be, in effect, how things would play out with adoption of the pdf for students and availability of readily-searchable MS-Word and other formats for instructors. Occasionally there are misstatements or implications that are misleading. The instances seen by this reviewer were sufficiently rare and isolated so that these instances do not at all invalidate the textbook. Illustrating glitches, section 1.3 implies that people learn better if instruction matches their preferred learning modality, but this widely held notion does not hold up under empirical scrutiny. (It was odd that this topic was included at all.) Chapter 13 opens with a definition of its topic “power” which starts off properly with the key component of the definition (“ability to influence the behavior of others”) but goes a little off track thereafter (and is preceded by a mostly but not totally on-target feature on the power bases of Steve Jobs [e.g., information power does not reside in the information that Jobs himself has “leveraged”; this is more an illustration of his expertise]). The boxed list of the top 10 stressful jobs was considerably less than authoritative. Still the important thing in developing a text like this one is to select the key information needed within major topic headings and to convey it accurately. The chapter on decision making illustrates success in these regards, as it progresses through the “rational decision making model,” “bounded rationality,” intuition, creativity (justifiably tersely), errors/biases, and issues in group decision making. Among the latter, Janis’s Groupthink concept was covered well (another topic not always given its deserved coverage), in terms of its elements and avoidance, although more could have been done to illustrate its intrusion and manifestations. (That is, the relatively terse listing of its elements does not paint a fully understandable picture of Groupthink, as Janis did in his book on the topic.) Inclusion of methods for improving decision making such as nominal group technique was a plus that is often neglected in other texts. This reviewer would have been a lot more negative than the authors about “majority rule” as a decision making rule, but the authors cited a credible source and were specific about what, specifically, is a positive about it, while recognizing it produces losers as well as winners. As another example of appropriate selection of subtopics, the first chapter on motivation appropriately distinguishes needs theories from process theories, and the second chapter includes fundamental sub-topics such as job design and goal setting. This chapter’s coverage of performance appraisals and performance incentives differs from some other texts’ coverage by being a bit less theoretical and a bit more practical, which this reviewer saw as a definite plus. As another example of a quibble, in the chapter that covered Hofestede’s culture dimensions, the authors could have included 5 or 6 of those dimensions instead of 4, but that is not a big deal either. The terminology was properly defined or described. Still, more can and should be done in this regard (answering the questions of So what? Who cares?) by instructors themselves. As noted elsewhere in this review, the authors are relatively terse in their coverage in ways that are sensibly and perhaps optimal for a text to be incorporated into on-line learning. The OB field allows the various subtopics to stand on their own so there were no apparent issues with consistency. Modularity is a high strength of this text. The OB field itself tends to be fractionated, and this text appropriately went along with that tendency--simultaneously grouping subtopics into their usual major topic groupings. There are occasional idiosyncratic groupings such as the way the topic of ethics appears sprinkled through the text, though in the case of ethics these insertions are clearly marked and (e.g., section 6.6, 7.6, 8.5, etc.). Thus an instructor could imagine developing his or her own initial framing of ethics in OB and then placing these sections adjacent, for example. As noted earlier the overall structure is appropriately conventional, mostly progressing from individual/ personality/ perceptual/ motivational topics, then onto group and team topics (including leadership), and ending with organizational structure/ change/ culture topics. Figure 1.3 highlighted this overall scheme. Rarely there are sections within the chapters that are not as obviously pertinent. 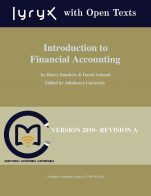 The very first section of Chapter 1 concerning the publishing business in relation to this textbook does not really achieve a proper connection to the rest of the chapter’s or book’s topic. The first topic of the second chapter similarly does not successfully introduce or pull together material in that chapter. Later in the book, in the chapter on power, I could imagine a worthwhile aim in including the studies of conformity, but I’m doubtful whether students will get the connection to the rest of the chapter without elaboration from instructors. Or the authors could be correct in their apparent belief that the connection is apparent. In contrast the first couple of pages of the chapter on stress were masterful, drawing the engineering analogy that is so often left out of OB texts, and giving enough description of the “flight or fight” concept to make it meaningful. It is inevitable for embedded web links occasionally to go bad: http://www.geert-hofstede.com/hofstede_dimensions.php. In the pdf version, the figures are mostly nicely large and colorful. Some are just-adequate (e.g., 9.2, 11.6) but still quite tolerable. When text boxes are set off with colored backgrounds they are easy on the eyes (e.g., with pastel green or blue background). This reviewer was not able to check all the formats for the text. The MS-Word document is missing figures but was useful for doing searches and capturing text for pasting elsewhere. The reviewer found nothing of any significance here. Prepositions should not be capitalized in titles. The first major chapter (among 15 chapters in total) after the introductory chapter addresses these matters as such (“Chapter 2: Chapter 2: Managing Demographic and Cultural Diversity”). It is appropriate. Nothing offensive was seen in this review. For his own course on this topic the reviewer chose a fully conventional, commercial textbook instead of this one. That other, chosen text had a greater volume of content, a very low rate of inaccuracy, and more visual design appeal. “Thus, whether an individual or a group decision is preferable will depend on the specifics of the situation. For example, if there is an emergency and a decision needs to be made quickly, individual decision making might be preferred. Individual decision making may also be appropriate if the individual in question has all the information needed to make the decision and if implementation problems are not expected. On the other hand, if one person does not have all the information and skills needed to make a decision, if implementing the decision will be difficult without the involvement of those who will be affected by the decision, and if time urgency is more modest, then decision making by a group may be more effective.” This passage is followed by Figure 11.11, “Advantages and Disadvantages of Different Levels of Decision Making” which goes beyond the quoted passage. The content in the figure (really a table) is not elaborated in the text but that is fine because the points are clear enough (e.g., “Pros” of group decision making include “Greater commitment to ideas;” “Cons” include “Takes longer”). 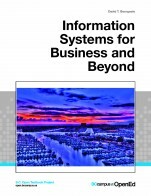 The reviewed OB text is very well suited to on-line instructional approaches in which the instructor constructs his or her own framing of text material or reconfigures it. It is definitely a good book on OB.